Professor Robyn Gillies' major research interests are in the learning sciences, classroom discourses, small group processes, classroom instruction, and student behaviour. Professor Robyn Gillies has worked extensively in both primary and secondary schools to embed STEM education initiatives into the science curriculum. This includes helping teachers to embed inquiry skills into the science curricula so they capture students’ interests, provide opportunities for them to explore possible solutions to problems, explain phenomena, elaborate on potential outcomes, and evaluate findings. In short, through these investigations, students learn how to engage critically and constructively with others’ ideas, challenge and rebut proposals, and discuss alternative propositions. In so doing, they learn to talk and reason effectively together. These STEM education initiatives have been funded by research grants and contracts from the Australian Research Council, the Department of Education and Training (DET), the Queensland Museum Network (QMN), and the Office of Learning and Teaching (OLT). Professor Gillies is a Chief Investigator on the Science of Learning Research Centre (SLRC) where she has been instrumental in implementing two recent science-based research projects in primary and secondary schools to help teachers embed inquiry-science pedagogy into their science curricula. 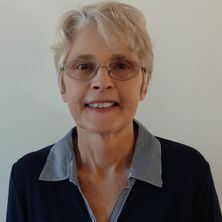 Her recommendations on how teachers can translate research into practice have been widely profiled in the international literature and on the website of the Smithsonian Science Education Center in Washington, DC. Collaborative learning: developments in research and practice. Edited by Robyn Margaret Gillies New York, United States: Nova Science Publishers, 2015. Pedagogy: New developments in the learning sciences. Edited by Robyn M. Gillies New York, NY, United States: Nova Science Publishers, 2012. Making reasonable adjustments: what can we do for students with disabilities? Effective early intervention approaches in reading and inclusive education practices: what do they have in common? Group composition of cooperative learning: Does heterogeneous grouping work in Asian classrooms? Cooperative learning: Pedagogy, policy and practice (2010) . Edited by Robyn Gillies and Michael Boyle. The International Association for the Study of Cooperation in Education (IASCE) 2010, 25-27 November 2010, Brisbane, Australia. Contemporary practice in school guidance and counselling. Proceedings of the ninth Queensland Guidance & Counselling Association conference (1996) . Edited by Burnett, P. C., Gillies, R. M., McMahon, M. L. and Wackwitz, H. F.. Moving on, traditional wisdom in contemporary practice, 1996, Brisbane, Queensland. Queensland Primary Teachers' Professional Development Model for Collaborative Multimodal Inquiry Practices in Science: Responding to the Demands of the Australian Curriculum. Effects of training teachers in communication skills during cooperative learning on classroom discourse social inclusion and learning among middle-year students. A Universal Evaluation of the Fun FRIENDS Program: Anxiety prevention in Early Childhood. An Exploratory Study of the Teaching for Understanding Framework (TfU) applied to a Year 6 Primary Connections unit.